Bass Luiz-Ottavio Faria made his operatic debut in the title role of Tom, in Un Ballo in Maschera with the legendary tenor Carlo Bergonzi, Fernando Teixeira, and Stefka Evstatieva at Theatro Municipal do Rio de Janeiro and the Theatro Municipal de Sao Paulo, directed by Maestro Isaac Karabtchevsky. Since his auspicious debut, the distinguished basso's career in concert and opera performances has take him around the globe, especially in Europe, USA, Canada, Mexico, and Brazil. 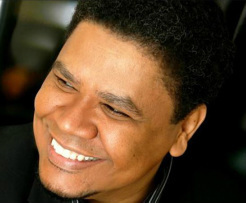 Following his studies at The Juilliard School of Music, he won several important national and international singing competition and musical Foundation awards, such as the 23rd national Carmen Gomes Competition (1988), prize Bass Guilherme Damiano, The Juilliard School Scholarship (1989), William Randolph Hearst Foundation, Die Meistersinger, (Aims), Austria (1994), Opera Index, YWCA Vocal Competition and The Great Buffalo Opera Competition (1995), The New Jersey State Opera Vocal Singing Competition, Lola Hayes Vocal Competition (1996). He is also the recipient of the (1997) The William Matthews Sullivan Foundation. Mr. Faria recently made a triumphant debut and a critically acclaimed performance in the title role of Banquo in Macbeth at the Teatro Alla Scala di Milano and Marcel in Meyerbeer's Les Huguenots, at the Carnegie Hall with the Opera Orchestra of New York, where he first attracted the international attention and was admired equally for his real and majestic bass voice and for his acting ability. Mr. Faria's repertoire extends from Seneca in L' Incoronazione di Poppea, to the High Priest of the Hebrews, Zaccaria in Verdi's Nabucco. His already vast operatic portrayals of more than 30 roles includes Ramfis and King, (Aida), Sparafucile, (Rigoletto), Alvise, (La Gioconda) Tom, (Un Ballo in Maschera), Banco, (Macbeth), Ferrando, (Il Trovatore), Sarastro (The Magic Flute), and Colline in La Boheme, among others. Kansas City, for the role of Oroveso in Norma with Maestro Ward Holmquist. He returns to Palm Beach Opera at the Kravis Center for the Performing arts for Oroveso in Norma conducted by Maestro Bruno Aprea, Sparafucile in Rigoletto, with the Teatro Real de Madrid under the baton of Maestro Roberto Abbado, Timur in Turandot with the Festival de Opera La Coruna with Maestro Miguel Gomez Martinez and staged by Alex Aguilera and Chen Kaige and Fiesco in Simon Boccanegra, with the Teatro Massimo di Palermo, Italy under the baton of Maestro Philippe Auguin and staged by Maestro Giorgio Gallione. One of America’s leading basses, Luiz-Ottavio Faria has appeared with the world’s major operatic and symphonic organizations. He has performed with such renowned companies as the Teatro Alla Scala di Milano, Opera Grand Rapids, Kansas City Opera, Teatro Carlo Felice, New Orleans Opera, Palm Beach Opera, Seattle Opera, Opera Carolina, Theatro Municipal de Sao Paulo, Teatro Amazonas, Knoxville Opera, Opera Orchestra of New York, Theatro Municipal do Rio de Janeiro, New Jersey State Opera, Theater des Westens, Musikverein of Vienna, The Caramoor Festival, Connecticut Concert Opera, Opera de Quebec, Opera de Montreal, Delacorte Theater of New York City, Teatro Bellas Artes, Teatro Massimo di Palermo. He has been heard in concert repertoire with such leading orchestras as the Orquestra Sinfonica del Estado de Mexico, Orquestra Filarmonica de Gran Canaria, Spain, Orchestre Symphonique de Quebec and the Orquesta Sinfonica Nacional de Costa Rica, among many others. Mr. Faria has been acclaimed for his concert performances as well. He has sung the Verdi's Requiem, Albinoni's Magnificat, Rossini's Stabat Mater and Mass in Eb Major, Bach's Magnicat Saint Matthews Passion, Edward Elgar's the Kingdom, also Mozart's Requiem, and Beethoven's Ninth Symphony. He received his musical training at the Villa Lobos School of Music, (Rio de Janeiro), The University of Rio de Janeiro, American Institute of Music Studies, Austria and The Juilliard School of Music, New York. Notable and distinguished conductors and stage directors with whom Luiz-Ottavio Faria has collaborated with include: Franco Zeffirelli, Riccardo Frizza, Jose Maria Florencio, Giancarlo del Monaco, Giuliano Carella, Robert Lyall, Kristine Mcintyre, Roberto Abbado, Isaac Karabtchevsky, Mauricio Garcia Lozano, Alfredo Silipigni, Roberto Minckzuc, Saverio Marconi, Will Cruchtfield, Marco Lacomelli, Enrique Batiz, Franco Ripa di Meana, Silvio Barbato, Mark Gibson, Bia Lessa, Yoav Talmi, Henrique Passini, Neil Veron, Pier Francesco Maestrini, Mark Flint, Grahan Vick, Eve Queler, Lorenza Cantini, Ligia Amadio, Andrei Serban, Francis Graffeo, Thaddeus Strassberger, Ira Levin, Roberto Oswald, Gregory Ortega, Alejandro Chacon, Roberto Duarte, Andrew Morton, Bernard Labadie, Stephanie Sundine, James Meena, Naum Alves de Souza, Kyle Swann, Sergio Brito, Kevin Stites, Ira Siff, Francois Clemmons, Gabriel Villela, Kamal Khan, Carroll Freeman, Luiz Fernando Malheiro, Mark Verzatt, Ward Holmquist, Franco Gentilesca, Bruno Aprea, Jerome Shannon, Jung-Ho Pak, Jamil Maluf, Eugene Kohn, Chen Kaige, Renato Palumbo, Kazushi Ono, Peter Keuschig, Daniel Oren, Srboljub Dinic, Maurizio Benini, Silvio Viegas, Kazushi Ono, Allex Aguilera, Giorgio Gallione, among others.